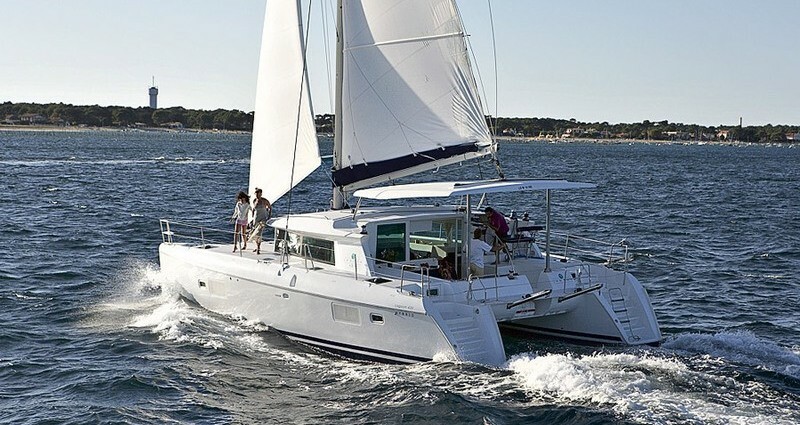 The Lagoon 420 is equipped with a fixed bimini top, which extends the living space into the cockpit. It is available with 4 cabins with en an suite bathroom or owner’s version with master suite in the starboard hull. 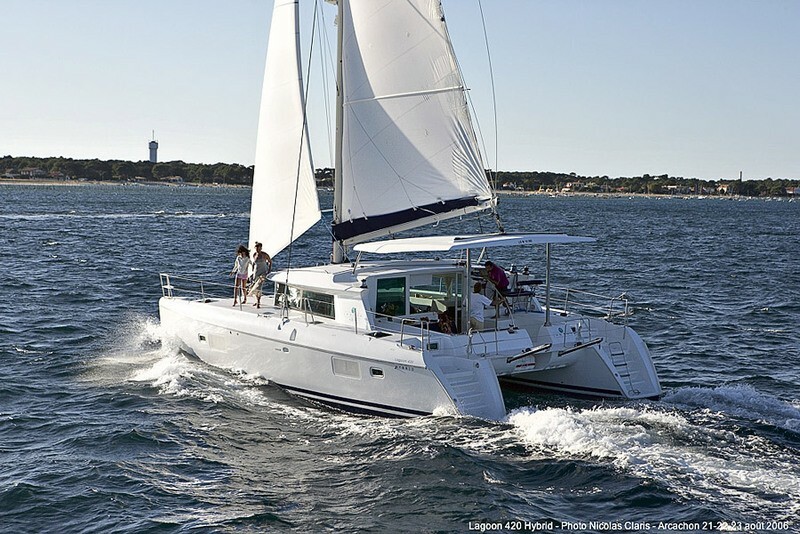 It is the first cruising catamaran in the world to be offered with a versatile hybrid diesel/electric motorisation, the Hybrid² version.